We humans like to think of ourselves as self-governing, free-willed beings, set apart from other animals by our capacity to choose and to reason. Yet watch people (or even yourself) closely and you will find that we are more instinctual and a lot more like other animals than we care to think. Animals are creatures of habit, and so are we. Habits help us navigate our lives and give us a sense of control and direction. But they also play an important role in simplifying our lives by reducing the amount of sensory stimuli we need to process things. When we are in the process of learning something as a habit, it takes the front attention in our brain. But as we keep doing it, it becomes an unconscious process, so much so that we’re able to perform other functions simultaneously. For instance, when you’re proficient at driving a car, you are automatically able to talk or think about other things at the same time. Habits thus save us time. They also save us energy (mental and physical) as they become automatic and unconscious since they require little to no effort. In a nutshell, that’s the power of habits. And you don’t just have a few of them. You literally have hundreds, if not thousands of habits. You form habits in the way you think and process information; you form habits in the way you eat, speak, dance, sleep, you name it. Everything about us is habit! Good habit Vs. bad habit. Our hardwired ability to form habits quickly helps us create order and efficiency. But the irony is that it also makes us vulnerable to picking up self-destructive patterns, too. Bad habits can lock us into negative or rigid patterns of behavior. All these habits (among others) have to be avoided, and insofar you keep performing them, they will prove to be deadly in the long run. Habits like these can be just as dangerous as an activity like smoking, but can all be overcome by finding a substitute, like vape cartridges, and eventually stopping altogether. The brain is always in the process of creating habits. It is rather primitive in the sense that it doesn’t discriminate between good and bad habits. It doesn’t know the difference. You, through conscious choice, have to show it. And the thing is that not all habits are created equal. Some habits (especially the good ones) are harder to obtain but easier to lose, whereas others (typically bad ones) are easier to obtain and harder to lose. Repetition plays an essential role in habit formation. When you do something with enough repetition, your brain decides that it could stop wasting precious energy thinking about it, so it checks out and that performing that task becomes an unconscious process. But the only way to get there is through repetition. Psychological research actually indicates that it takes about 21 days to develop easy and simple habits and a bit longer (about 2 months) for habits that are more difficult. Positive reinforcement plays a big role in habit formation. Let’s say you profited from a mistake. Here’s what’s happening in your mind: The profits gained, even if you did not follow your rules, result in an enjoyable feeling. Your brain releases dopamine, and that’s what dopamine does –it acts directly on the brain’s reward and pleasure centers. It affects emotional responses and gets us fixated see those emotional rewards and to take action to move toward them. This is the main reason why people keep doing things that they know won’t lead to a positive outcome – but they keep doing those things anyway. Their mind has been conditioned to drool in anticipation of its next fix of dopamine. It’s the same thing in trading: if you profit from a mistake and do nothing to set the record straight, your brain automatically learns to repeat this process. How to obliterate your bad trading habits. Regardless of our predispositions and inherent inclination, humans are amazingly capable of change and adaptation. 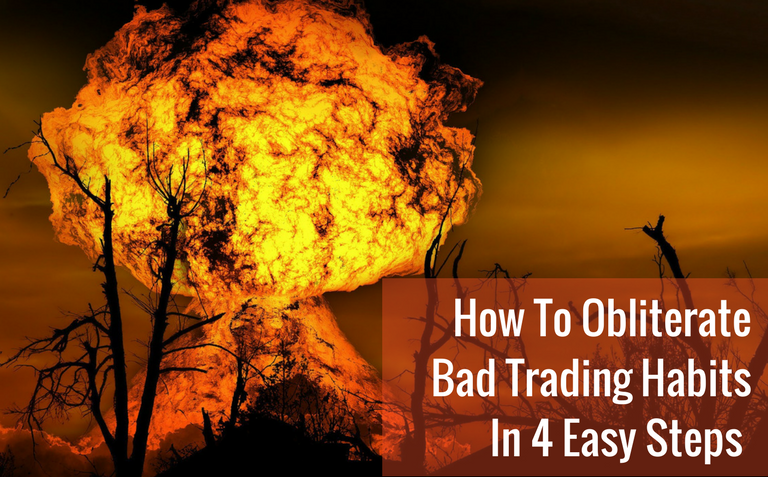 Below are 4 easy steps is you can take to obliterate your bad trading habits. 1. Write down the bad habits you’re trying to quit. You don’t have to write a novel, just list them down, and then pick one you will work on. Whether you’re trying to let your winners run or stick to your risk parameters, start simple. Many traders fail to change their habits because they want to change too many things all at once. So don’t overload yourself, just work on changing one habit at a time. Take some time to think about the things that make you crave doing your bad habits. If you find yourself tweaking your trades, is it a result of your need for certainty? If you fail to prepare an action plan before each trading sessions, is it because you feel lazy? If you can’t seem to let your winners run, is it because you’re thinking about the mortgage or the bills and want to book quick, sure profits? List these triggers next to each of the bad habits you wrote down. 3. Substitute your bad habits with good habits. Basically, you want to teach your brain to suffocate your bad habits and instead feed the ones that you want– again, through repetition. Here’s an easy way to do that: write a substitution next to every bad habit you wrote down. For instance, if you tend to tweak your trades and mess up the outcomes, place your trades as per usual but then get as far away as possible from your computer screen. Place some contingent orders and then go out. Do something else. The more you do that, the easier it gets, until comes a time when your brain finally accepts that new habit as the norm. The principle at play here is referred to as neuroplasticity. I explain what it is and how you can make use of it in this post. Do you want to keep your trades on longer? Trade small. Do you want to be more faithful to your plan? Trade small. 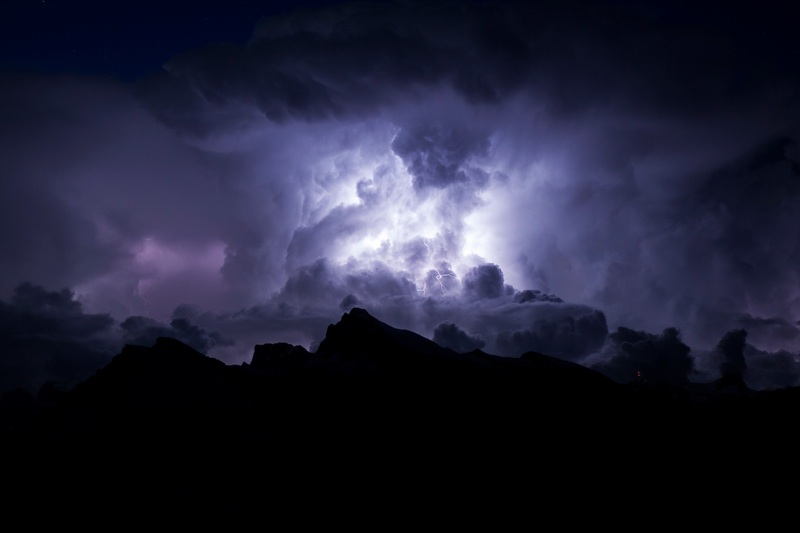 Do you want your emotions to fluctuate less when you place and manage your trades? Trade small. Do you want losses not to affect you that much? Trade small! By trading small, you’ll get to practice good habits. The more you practice those habits, the better you’ll get at them! You’ll develop certain skills, overcome basic fears, and gain confidence. If you’re not trading small, it’ll be very difficult to do so. But then, as you get better, you shouldn’t rest on your laurels and stay in your safe and comfortable little bubble. You should seek to increase your size incrementally so that you are constantly challenging yourself to grow stronger and more resilient. Bonus. Share your bad habits with people. Enlist your friends, family, or anyone close to you (you could even do it online via forums and social media) and tell them that you want to eliminate a certain habit. Just this simple act of letting people know about your difficulties make them not-so-difficult anymore. Opening up will empower you to raise yourself above those difficulties. I have a theory: If you’re an overweight couch potato, I’m willing to bet that you’re not a consistently profitable trader. If your mind is well anchored in this habit of seeking short-term emotional gratification, it’s bound to permeate all aspects of your life — including trading. It’s very difficult to envision a successful trader or entrepreneur who’s also an overweight couch potato at the same time. It’s possible but unlikely. However, it’s not that hard to find a successful person who is also in great physical shape — in fact, it’s very common. Because it’s all connected. What is frequently practiced and perfected as habits, become the inclination of the mind. We are actually cultivating, in one way or another, the patterns and inclinations of our lives. So to excel at an endeavor like trading, you have to make sure that you are cultivating the right habits in your life. When those are cultivated, they become you, who YOU are, and they’ll inevitably pour into your trading. I found inspiration for this article by reading The Power of Habit, by Charles Duhigg. 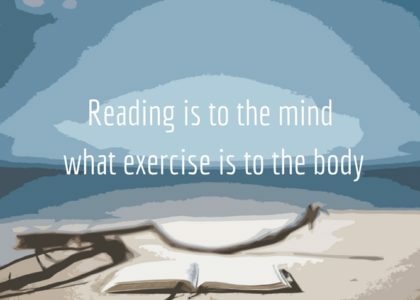 The book takes an unflinching look at the science of habit, and offers concrete strategies for transforming harmful habits into beneficial ones. I highly recommend it. 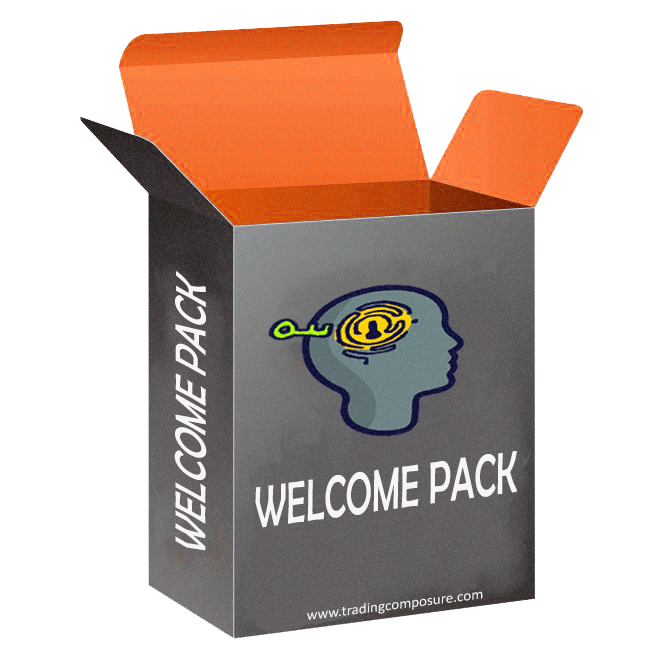 And if you want help building a master habit like mindfulness, upon which every other positive habit in your life can begin to stack up, check out the Trading Psychology Mastery Course. Use This To Neutralize Chronic Stress. 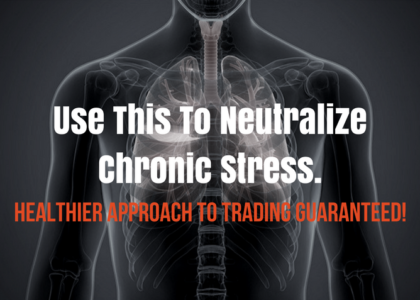 Healthier approach to Trading Guaranteed! I suggest one to read Mark Douglas’s old book, The Disciplined Trader. Readers will find many ways to change their “bad” trading habits by reading this book. Thank you Bryan! Yeah, Mark Douglas’ books are essential reads!